NW Claims Management public adjusters work for you, not the insurance company. 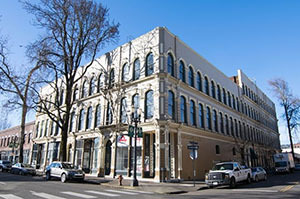 We handle all types of commercial and industrial building claims. You can count on Northwest Claims Management to be with you every step of the way. Need a public adjuster for your family home or rental property? No problem! NW Claims Management can provide you with the support and experience you need from beginning to end. no matter how big or small, Northwest Claims Management is your go-to public adjuster for Government and Non-profit insurance claims so you can rest easy. If you have filed an insurance claim, hiring a Portland public adjuster is the only way to ensure your claim will be adjusted fairly. We work solely on your behalf to recover the maximum amount allowed by your current policy. We have the training necessary to read and interpret your policy language, the construction knowledge to assess the damage to structures, and the experience in insurance claims to know all the tricks of the trade. Your insurance company is a powerful, profit-driven corporation with clever ways of hanging on to your money. Without representation of your own, the adjuster working for the insurance company will have complete control of your claim, and they will not be working in your best interest. In fact, they have financial incentives directly related to how little you receive in compensation. Insurance policies are extremely confusing and many people believe they must trust that their insurance company will fairly and equitably pay their claim. Unfortunately, all too often, they will deny a claim that should be covered, under-fund a covered loss, or will push their “preferred contractors” who may try and keep the costs down by doing minimal repairs. 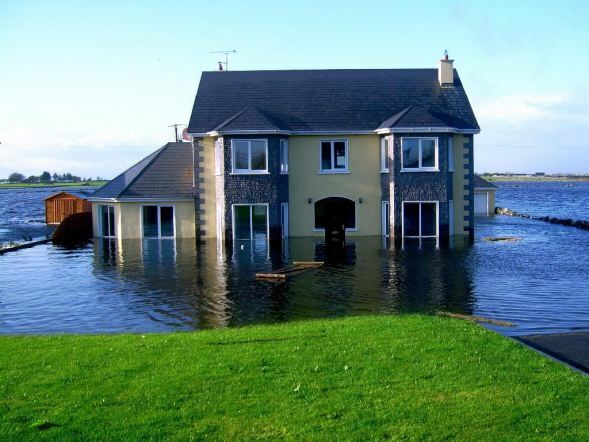 With more than 15 years of experience in the state of Oregon, our licensed professional Oregon public adjusters will work hard for you and are determined to recover the maximum amount possible. 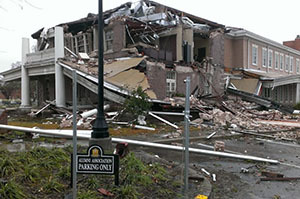 Damage to your home or commercial property can have a devastating impact. This is especially the case if the damage is caused by natural disasters or floods. Luckily, there is an insurance system in place which will ensure that you are able to recover what you have lost. When property owners make insurance claims, they can have their home or business repaired or even rebuilt. Though filing a claim can be a little tedious, and in some cases, raise the cost of insurance, this can help to take a huge financial burden off of the property owner’s shoulders. The first part of the claims process is pretty easy and straight-forward. All you need to do is get in touch with the insurance agent and give them all of your information. However, at some point, you will eventually need to contact a public insurance claim adjuster. Let’s take a moment to discuss what a public adjuster does, the reasons people choose to hire claim adjusters as well as how to choose the right expert for you. But first, let’s define what a public insurance claim adjust is. What is a Public Insurance Claim Adjuster? Public insurance adjusters are experts in the details and language of an insurance policy. They typically have experience in construction and use their sophisticated software in order to undergo independent evaluations of their client’s loss of property. Not only can they better estimate the property owner’s damages but he or she also knows exactly how to record and submit claims for the policyholder. They use all of this information to work on the behalf of the policyholder. Whether your property has been affected by fire, flood, smoke, hurricane or wind damage, an public insurance claim adjuster can be file and negotiate for you. Many people handle their own insurance claims. They take care of everything from start to finish without ever having to consult a public claims adjuster. So why should a policyholder work with a public adjuster when they can carry out the process on their own? Well, there are two key reasons people choose to hire a public insurance adjuster instead of attempting to handle the process by themselves. Believe it or not, not all insurance companies will handle your claim properly. In fact, there are times in which policyholders get far less than what their property is worth. And this leaves the property owners to make up the costs for whatever they were not able to get from their insurer. And this amount can be staggering in some cases. That’s why some policyholders choose not to take any chances. They want to maximize the amount that they receive back from the insurance company. Research shows that the use of a public adjuster can help to increase the final claim payment amount. Note: Any many cases, the adjuster is paid a commission on how much they are able to get you, so they have a vested interest in getting back the most they can. Another often overlooked element of damaged homes or commercial buildings is the toll that it can take on the policyholder emotionally. In fact, there are some property owners who go through stages of grief when their property has been damaged or destroyed. In these times, the person may feel particularly overwhelmed with all of the things that need to take care of. Some are even mentally paralyzed from the loss. And this is where an adjuster can come in handy. Instead of having to deal with all of the stress that comes along with filing an negotiating a claim, policyholders can put this task in the hands of people who did it every day and can help speed the process along. As you can see, there are several ways in which public claims adjusters can make the lives of policyholders easier. However, this does not mean that policyholders shouldn’t be selective about who they work with. In fact, there are a few questions that you should ask yourself when searching for the right adjuster. 1. Does this public claims adjuster have the proper certifications? One of the first thing that you should consider before hiring a claims adjuster is whether or not they are legally able to practice. Ideally, you should look for an adjuster who is licensed to work in the state where you reside or run your business. Is your claims adjuster bonded and do they participate in continuing education courses so that they can maintain their license? Not only does this ensure that your adjuster is well-qualified, but also that everything is done within the bounds of the law. 2. Is your adjuster going to handle your claim personally? You should take time to find out how many people will be working on your claim. For instance, if you choose to hire a firm, they may decide to send one adjuster out to get an estimate and another to analyze your claim. You may prefer to work with just one person. However, it is important to note that working with more than one adjuster is not always a negative. In some cases, the firm may send out another adjuster who has more experience with cases like yours. So this is a matter of personal preference and level of experience. 3. Do they have any referrals? One of the best ways to find out how efficient an adjuster is at his or her job is to check their referrals. Ideally, these referrals should from someone you trust like a family member, friend, co-worker or even a good acquaintance. If you cannot get the recommendation of someone you know, then check online. Quite often firms and individuals will have an online presence and customers will leave reviews. Find out what their experiences were like. Was the person professional? Were they experienced? 4. Does your adjuster have experience? Sure, there are some claims adjusters who are just starting out. However, if you want to get the most out of your experience, then you may want to be on the lookout for adjusters who have been in the business for some time. This is especially the case if your claim is very severe or it seems as if there are going to be a few complications here and there. Ask the adjuster what types of claims they have worked on in the past. Do they happen to have any experience with your insurer? How long have they been practicing? The more experience they have, the better. 5. How much of the process do they handle? It’s a good idea to find out how much of the process the adjuster plans to handle. Will they handle all of it from start to finish, without your ever having to speak to the insurance company? Will they expect you to deliver the information to the company? Find out how involved this person will be. As you see, public claims adjusters play a vital role in ensuring that policyholders get the amount that they deserve. They are also able to help lessen their emotional burdens as well. Taking the time to do the proper research can ensure that you find the right adjuster for you. Are you thinking about hiring a public adjuster to help handle your property damage case? A lot of people have questions about the process itself, including when the adjuster should be brought in and for how long. We also get asked about what happens after the case has been settled, including what happens when the person has second thoughts. We will answer these questions and more down below. My insurance company sent me an offer. I am worried that the offer may be too low. What should I do? Should I bring in a public adjuster now? Is it too late to talk to someone? What should I do?You do not need to worry. You can still bring in a public adjuster. Your situation is not that uncommon. A lot of people try to solve this problem on their own before they bring in an outside source. A public adjuster is a professional. They will help you evaluate the damage and present your claim to the insurance company. The difference is a public adjuster is skilled in the art of negotiation. They will know how to get you a maximum settlement. It is up to you, but hiring a public adjuster is the better way to go. They negotiate for a living. I am thinking about hiring an attorney to handle some of the damage. Is that okay? 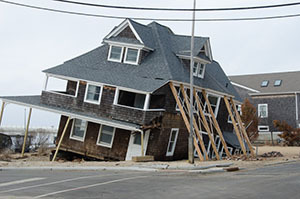 Does a public adjuster know how to handle the situation better?It is not that uncommon to hire both. A public adjuster can help determine property damage. A lawyer can help you navigate the process of claims and settle. The other side will pull every trick in the book to avoid paying you what you deserve. Lawyers are more skilled in this area. A public adjuster only knows so much. In some cases, you may not need a lawyer. Your case might be simple enough for a public adjuster to handle. This will save you a lot of time and money. In cases where the complexities outweigh the simplicity, you will need a lawyer to handle the rest. I just got done hiring a contractor to help me repair the damages to my property. Can I save some money by hiring them to help me with my claim?A restoration contractor is important, but they cannot do everything. A contractor has the skills to restore your property to its former state, but they cannot help with anything else. They cannot negotiate with the insurance company on your behalf. They cannot file a claim and get you a settlement. In fact, many will be laughed at for trying. It is also a felony. The contractor may be arrested for simply trying to help. The laws are strict. Do you want them to go to jail for you? Do you think they want to go to jail for you? Public adjusters and lawyers are licensed to negotiate on your behalf, no one else. I hired a public adjuster to help me with my claim. Can I hire him as my on-site contractor to help me process my claim as well? That is considered a “conflict of interest” too. They will be mentioned to the “Unauthorized Practice of Public Adjusting” group. We know you want to save money, but you need to do it legally. My insurance company assigned me someone. Can I use the guy to settle my claim and call it a day?An insurance adjuster is loyal to the insurance company. A public adjuster is loyal to the public. You need someone who is looking out for your interests and an insurance adjuster will not. Hire a public adjuster who can work on your behalf. You should not trust your insurance company to help you. I settled my case. They cut me a check and I cashed it. Now, I am having more problems. Can I still hire a public adjuster? Can they still help me? Is it too late?No, it is not too late. There are a lot of people who suffer supplemental damages, which are damages not found the first time, or they happened after the fact. It is ideal to hire someone right away, just in case something like that occurs. The only drawback we can see is when you sign a waiver. Did you sign a waiver that lets the insurance company off the hook for additional damages? Those who did may find it more challenging to get additional money. You should speak to a public adjuster right away. Copyright 2018 Northwest Claims Management. all Rights Reserved.